Students from universities around the globe will converge in Seattle April 12-17 to compete in the University of Washington Business School's sixth annual Global Business Challenge. Keeping in step with today's intercontinental trade environment, the Global Business Challenge will include 64 undergraduates from Brazil, Bulgaria, Canada, China, Denmark, France, Germany, Italy, New Zealand, Singapore, South Korea, Thailand, and three American business schools including the UW. The four-person teams will arrive in Seattle next Monday and in the days preceding the competition, will have a chance to become familiar with the city and UW campus. They will tour local corporations and share their respective cultures with Hamilton Middle School students. Crunch-time starts April 15 when teams are given a business case for which they must develop a solution within 48 hours and then present their findings to a panel of corporate judges. Organizers said it provides a challenging opportunity for students to put into practice the global business knowledge they've acquired in the classroom in a situation designed to simulate the real business world. "Our main goal is to create more cross-culturally competent students," said Pete Dukes, associate dean for undergraduate programs at the UW Business School. "They learn the finer points of leadership, teamwork, business case analysis, technology utilization, research, international communication, cross-cultural competence, networking, and corporate presentation skills." The Global Business Challenge is produced and supported by the school's Global Business Center and students in the nationally ranked Certificate of International Studies in Business program. Teams will be judged on quality, creativity and professionalism in presenting their analysis of the business problem. Final rounds will be held April 17 and are open to the public. The winning team will be announced at an awards banquet that evening. Last year's winning team from Seoul National University created an international expansion strategy for Starbucks Coffee Co. 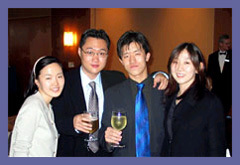 They were Chung Woo-Jae, Hong Doo-Gi, Kim Mee-Yeon, all senior of business major. Lee Jin-Ah was a senior majoring in sociology. They competed under the guidance of Professor Choi Do-Sung. They became the first to win the contest as a team from non-English speaking countries. 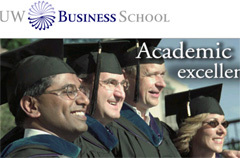 Since its inception six years ago, 58 business schools from 32 countries and 11 states have participated. Past winners hail from Brazil, Germany, Singapore, South Korea and the United States. Sponsors include Boeing, ConocoPhillips, Costco, Expeditors, Ford Motor Co., Microsoft, Starbucks, and Washington First International Bank.